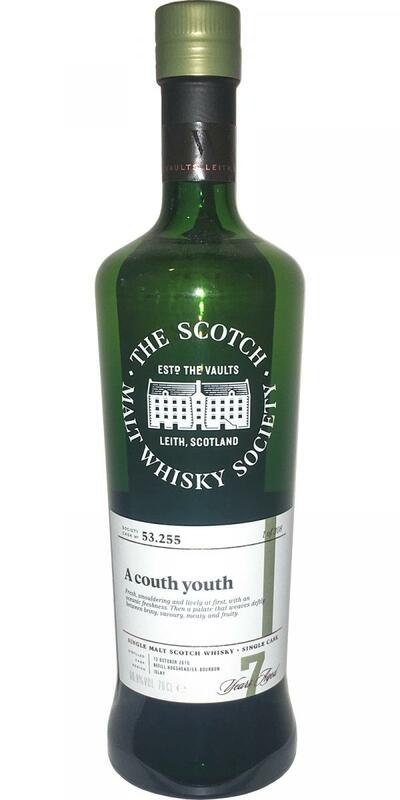 Young Caol Ila with very well integrated alcohol. 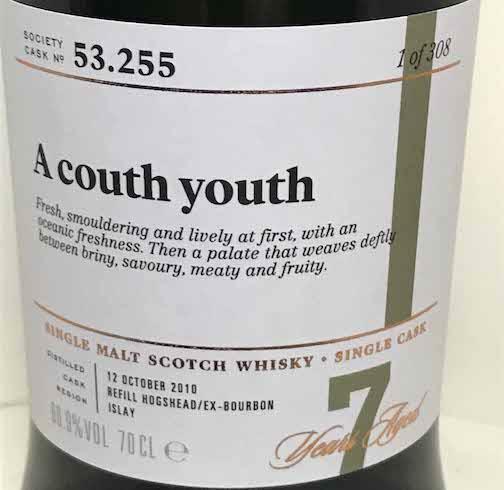 Reminds in the nose irritatingly something to Bruichladdich bottlings. Unusual nose for a Caol Ila, more reminiscent of the old dishcloth from Bruichladdich. Smoke is initially little to make out, but green apples, roasted almonds, latte. Strong start, which should be no wonder at> 60% ABV. However, not too strong, so that you get along well undisturbed well with him. On the tongue peat smoke, which is now the nose is able to perceive. Unripe bananas and green apples, slightly metallic, but also notes of toffee and dark chocolate. Vanilla. Over time, peppery with salt liquorice. Short and crisp, slightly dry, banana pieces dipped in milk chocolate. The panel were taken aback by the uncharacteristic complexity for the age. The nose displayed yeasty sourdough, lemon drops, pear drops, grist and smoked grains with paraffin, smoked almonds and a pot of fresh kedgeree! Water gave us anchovies, smoked fish, lobster nets, Rauchbeir, cured ham and herring in brine. On the palate we found a cavalcade of grilled scallops, fresh chives, sheeps wool, lapsang souchong, green apple, soda bread and charcoal pencils. Water brought applewood smoke, salted liquorice, mercurochrome, green peppercorns, coal tar soap and bergamot. A rather exquisite and youthful example of the make.